At the SIHH 2018, Jaeger-LeCoultre re-introduced one of its most emblematic collections, the Polaris. Slightly vintage-inspired, superbly executed (the case is superb), utterly JLC in the style but with a sportier look, it has been quite a success. 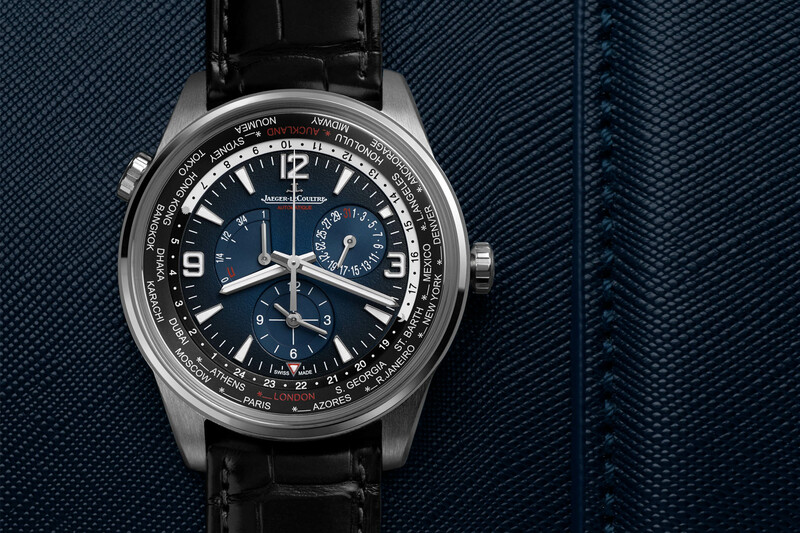 Already comprising multiple models, including a 3-hander, a time-and-date, a chronograph, a chronograph-world-time and, of course, an alarm version (the Memovox), today Jaeger-LeCoultre adds a world-time-only edition to the Collection, with the new Polaris Geographic WT – a limited edition, boutique exclusive. 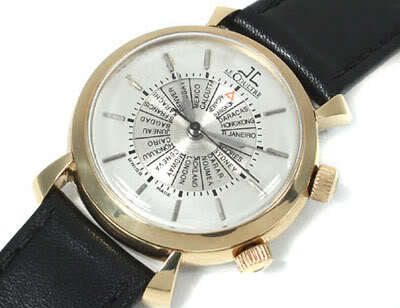 The name Geographic at Jaeger-LeCoultre refers to the signature world-time complication used by the brand for some years now. 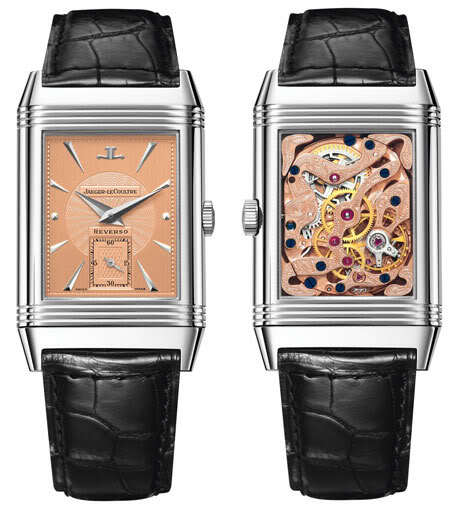 This complication is mainly known in the Master collection, with a unique display where the chosen city appears in an arched window at 6 o’clock, combined with several other indications, such as the date, a day-night indicator, a second time-zone and a power reserve gauge. More recently, JLC created a more vintage-inspired, cleaner version of the Geographic in the “Sector Dial” Master collection, a watch that only featured the world-time function and a second time-zone sub-dial. 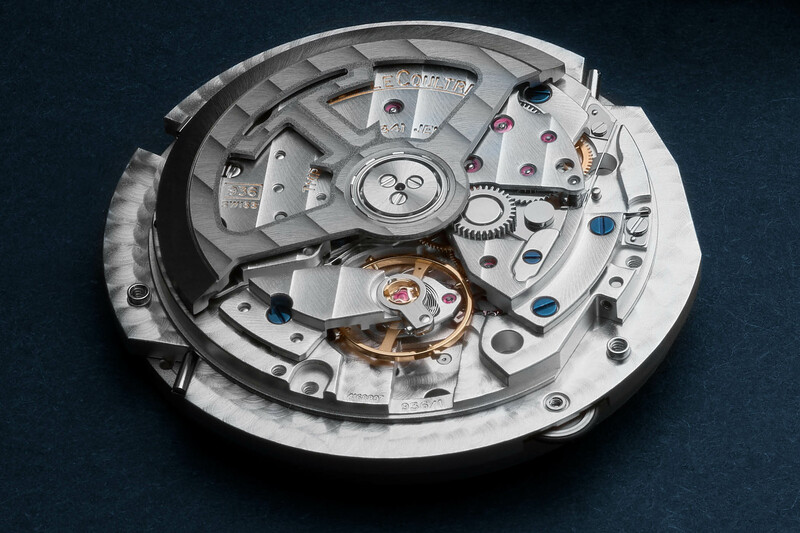 Today, Jaeger-LeCoultre adds this world-time movement to the newly introduced 2018 Polaris collection. Surprisingly, JLC has slightly reworked the display to offer a third alternative to the 2 others already mentioned. 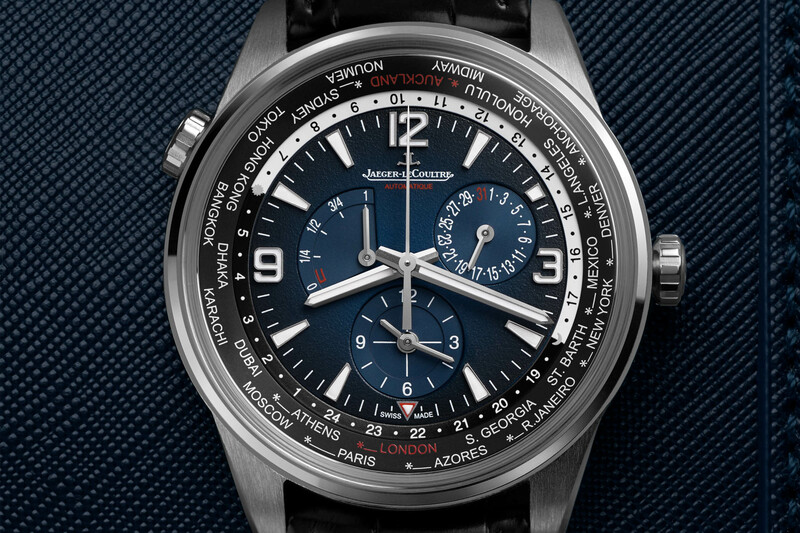 The watch being slightly sportier and larger than the Master collection, it allows the Jaeger-LeCoultre Polaris Geographic WT to have its dial entirely circled by the city ring and the 24h scale – in fact, like most world-time watches. In the centre area, we find back the triple indication: power reserve at 10 o’clock, date at 2 o’clock and second time-zone at 6 o’clock. No need for a day-and-night indicator anymore, as the watch features a 24h disc. This world-time function is actuated only by the second crown – no extra pushers or recessed buttons in the caseband. 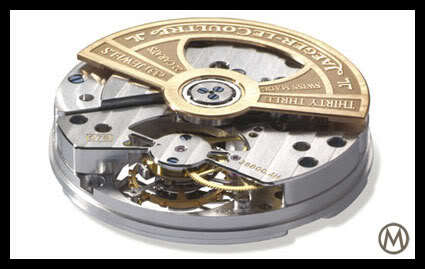 The 24 time zones visible on the internal flange are adjusted by the crown at 10 o’clock. For cities switching between standard and daylight saving time according to seasons, a white asterisk indicates the time with this one-hour difference. The Polaris Geographic WT is a complex watch, with multiple indications, yet it remains clear and legible. This world-time function is powered by the calibre 936A/1, a mechanical self-winding in-house movement with 4Hz frequency, 34 jewels and 43h power reserve. 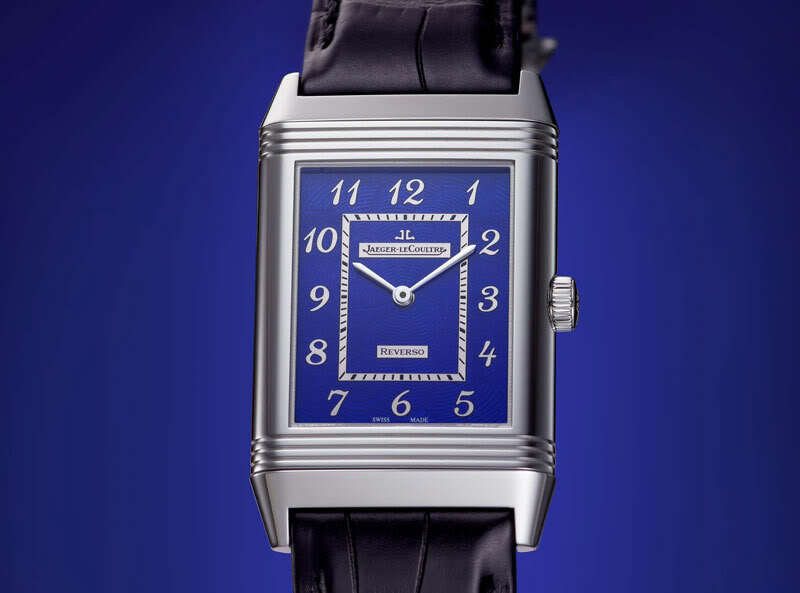 It is visible through a sapphire caseback and decorated in the usual JLC way, with Geneva stripes, blued screws, bevelled angles and a modern anthracite-coated oscillating weight. 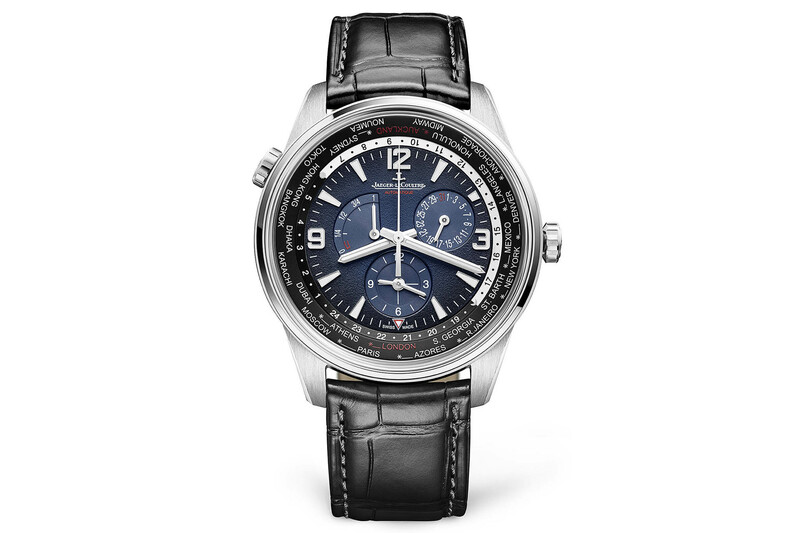 The Jaeger-LeCoultre Polaris Geographic WT is presented in a 42mm stainless steel case, with the same attributes as the rest of the Polaris collection: thin bezel, short lugs, elegant/sporty design and a superb execution with all surfaces being polished or brushed by hand. It is here offered with a black alligator strap. The dial, with the typical indexes/numerals of the collection, has a new “gradient” style, going from blue in the centre to almost black on the periphery of the dial – obviously a pleasant colour choice. 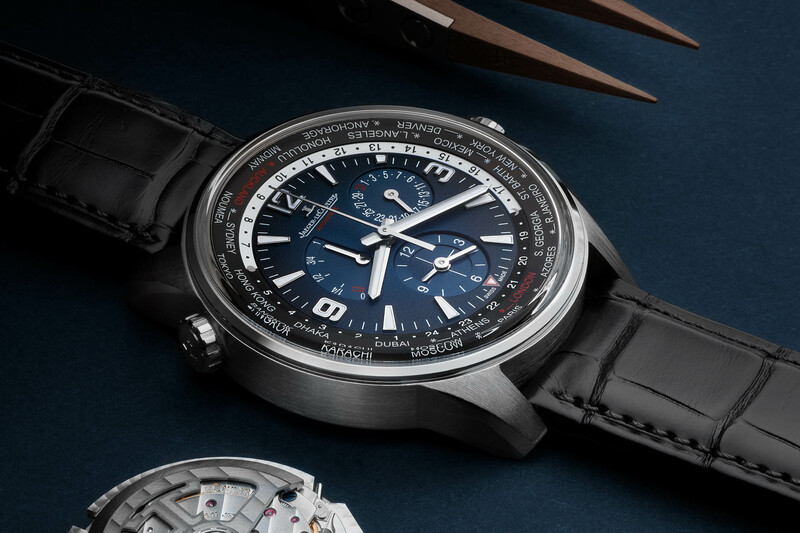 The Jaeger-LeCoultre Polaris Geographic WT is issued as a series of 250 pieces and it will exclusively be available at the Jaeger-LeCoultre boutiques. It will be priced at EUR 13,650. 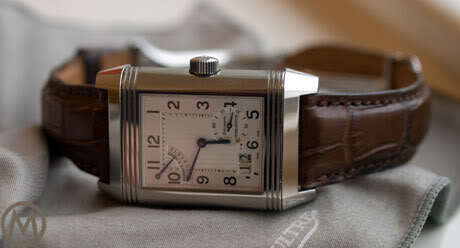 More details on www.jaeger-lecoultre.com. Beautiful! One of the best looking world timers I’ve seen.